If there is one topic that occupies the minds of farmers and those on the land more than the weather, or the price of wheat or wool or sheep or cattle – it is the future. Is there a future in agriculture for our children and grandchildren? If there is, what kind of future will it be? Introduction – The Present – Where we Are. There are statistics that show our agricultural productivity in Australia is declining not increasing. There are statistics that show increases in productivity are directly tied to investment in Research and Development. As a nation we are reducing our investment in research and development. As we shall see later, there is evidence that bigger is not always better. It is a worry that it was recently announced by Rabobank, one of the biggest agricultural banks in the world, that Australia is now the most expensive place in the world to grow wheat. It costs twice as much to milk a cow in Australia compared to the United States. Yet we compete in world markets with the United States for both dairy and wheat. No grain grower will surprised to learn that in Australia it takes 16 trains to haul 60,000 tonnes of wheat to port, and in Canada it takes just six. It is with almost regular monotony that we learn of yet another food processor closing down in Australia and moving overseas. It’s cheaper we are told to source the food overseas, process it there and the export the finished product to Australia, than it is to grow the food it and process it in this country. Unless the world food supply changes dramatically, one way or another, Australia will increasingly rely on imported food. We are constantly bombarded, by politicians and this new breed of city-based agri-entrepreneurs with the proposition that Australia, can be the ‘Food Bowl of Asia’. What nonsense. We already import more processed food than we export. What we export has very little if any value adding done to it. Boats full of grain and meat, raw wool, live sheep and cattle. It’s cheaper to import cakes and biscuits from Holland than it is to make them in Australia – why is that? We have imported bread dough from Ireland to be baked in Australia. Neither Holland or Ireland could be classified as a Developing Country. We should not delude ourselves that the only food we import comes from countries with ‘cheap’ labour and costs. We have used that excuse once too often. Our major retailers control over 80% of our food business. They have the ability to scour the world for the cheapest food they can buy. They do not care if it is cheaper than what is grown in Australia. If they do buy Australian then they drive the price down to the Australian producer to same price as they can buy it overseas. They have to protect their market share and profit. On May 29 in the Farm Weekly the Federal Minister for Agriculture, Barnaby Joyce, gave his views on the Muntadgin Farming Alliance and expressed some sympathy and empathy with the group and with farming in the eastern wheatbelt. As a direct result of that interview, Ken Wilson, in the June 5 edition of the Farm Weekly, in the middle of seeding for many, put a series of questions to Nationals Member for Central Wheatbelt, Mia Davies, and Agriculture and Food Minister for Western Australia, Ken Baston. At the Global Farmer, we believed the questions put to Ken Baston and Mia Davies by Ken Wilson deserved another outing, away from the rough and tumble of getting the crop in the ground. The Farm Weekly agreed so here they are. So now you can give these serious conversations some considered thought. They are important questions. You make up your own mind on the quality, on the depth of the answers. Can we look forward to new future attacking old fundamental faults or just the same old parcel in different paper and a bit more tinsel, a few more balloons and a bigger whistle? Farm Weekly: One of the Muntadgin Farming Alliance’s (MFA) specifics is that governments’ and financiers’ policies and lending products should better reflect the cyclical nature of agriculture rather than on five year averages. Do you agree? Ken Baston: Agriculture is a long term investment, with relatively high short-term revenue and expenditure fluctuations. The vast majority of ability to account for this operating environment is in the hands of the Federal Government and Australian banks. FW: Would you put more focus on promoting agribusiness and pushing for say 15 to 20 year low interest line of credit facilities? The basis of this question is that spending Royalties for Regions (RfR) money on buildings is putting the cart before the horse. Farmers would far more appreciate policies that deal with the ability to better manage Cost of Doing Business. Cost, not rain, is front and centre the biggest issue as far as farmers are concerned. Better managing cost over a longer financial time-frame would put them in a stronger position to make higher profits, suffer less in drought periods, remain as valued custodians of the land, employ people at competitive industry wage rates and build communities … who would then appreciate infrastructure planning. KB: The WA Government has lobbied for improvements to the Farm Management Deposit scheme to better reflect the needs of the sector in WA. The WA Government does not see it as a role for governments to be involved in business lending, in agriculture or in other sectors. The days of Government owned banks using taxpayer dollars to compete with financial institutions are long gone, as are the days of the government being the lender of the last resort to failing farm businesses. The most important thing governments can do is work to keep interest rates low. The WA Government has a major thrust to identify red tape and reduce the costs of normal business. Better managing costs over a longer financial time-frame would put them in s stronger position to make higher profits, suffer less in drought periods, remain as valued custodians of the land, employ people at competitive wage rates and build communities – who would then appreciate infrastructure planning. FW: Do Australians (and governments) really want farmers? KB: Australians want farmers, however as we have seen with the recent car industry decision, there is no support to put taxpayers money into Australian businesses big or small that cannot compete in a world market. Governments cannot control major input costs farmers face including the price of machinery, fertilizer chemicals or skilled labour nor can they control world export markets for their commodities, Many farm businesses are performing well despite the run of difficult seasonal conditions, with some performing consistently extremely well. FW: The MFA talks about promoting agribusiness, particularly in urban and regional centres. What would your Party do to increase the profile of WA agriculture, and by default, agribusiness? KB: The Seizing the Opportunity initiative includes programmes funding of $20million over 4 years ($5m/year RC) “ to support strategies to help the agriculture sector build a more positive profile.” This programme will include promotion of the sector, but importantly will help those within the sector to better promote their own sector. FW: What is your party’s policy for a long-term vision for agriculture? KB: The State Government certainly has a clear vision for agriculture and values the contribution of farmers. The government has aspirations to double the value of the sector by 2025 as articulated in the new Agrifood 2025+Strategic Plan for DAFWA , which focuses on my priorities for the sector; Growing Markets, growing profitability, growing productivity and growing people, while protecting WA’s biosecurity status and sustaining natural resources. The Governments $300 million commitment to the sector over four years through Seizing the Opportunity initiative, and developing partnerships through the Agrifood Alliance of Western Australia, and Invest West Agribusiness Alliance, further illustrate the government’s commitment to growth in the sector. The WA Government demonstrates its commitment to the agricultural sector and related businesses through record investment in regional infrastructure and services for regional economic and community benefit generally. Farm Weekly: One of the Muntadgin Farming Alliance’s specifics is that governments’ and financiers’ policies and lending products should better reflect the cyclical nature of agriculture rather than on five year averages. Do you agree? Why hasn’t the government put more focus on promoting agribusiness and pushing for say 15 to 20 year low interest line of credit facilities? Mia Davies: The Nationals focus through the Seizing the Opportunity policy has been to direct investment into areas that will impact on the profitability of our farming businesses across the State. For example, in November 2012 the Western Australian government officially launched the Australian Export Grain Innovation Centre (AEGIC). The WA Government has already committed $50 million to AEGIC with $20m from GRDC and $15m from CSIRO. An additional $20m commitment to AEGIC means we are committing a total of $70m to grains R&D over the next five years. The total investment in grains R&D including GRDC and CSIRO funds is $105m. AEGIC’s first two grain research projects are up and running – one on grain economic analysis and one of grain processing and product functionality. The outcomes of these should be to see WA growers grow the right types of grains for new and profitable markets. Farm Weekly: Do Australians (and governments) really want farmers? The Nationals WA took a $300m agricultural policy to the State election – we believe the next big economic opportunity for the State and nation is to position ourselves as the preferred provider of food and fibre to meet the needs of a rapidly growing China and our Asian neighbours. To achieve this we will require investment in key infrastructure to ensure we can move product to port in an efficient manner, identification of new markets, funding for research to ensure we’re developing produce that suits our climatic conditions and end markets, and investment in the workforce we’ll need to service the industry. It means identifying where we can value-add and attract investment to grow the sector. The investment into the sector is a significant and tangible demonstration of government’s State-wide commitment to agriculture. As to whether Australians really want farmers, people can only value what they understand. Over time, as Australia has become more urbanised there has been a decline in the links families have back to those living on the land. I think there is a genuine regard for farmers, however, we live in a very sophisticated and media-rich society so we’re competing with many other messages. Many of the personal links back to the farm gate no longer exist which means the sector needs to be innovative in the way they communicate and market themselves to raise awareness of their value. The Seizing the Opportunity agriculture policy has targeted funds to assisting industry to do exactly this. FW: What will the $20m commitment from your Party’s policy be spent on to increase the profile of WA agriculture and by default, agribusiness? Would that money be better spent on promoting agribusiness and educating young city people about the industry? Mia Davies: The $20 million commitment is to develop and implement a strategy to change the public perception of the agriculture sector, and to encourage those working in agriculture to advocate for their industry. The initiative will include measures such as a targeted marketing campaign, increasing the focus on agriculture in schools, encouraging school leavers to pursue a career in agriculture and working with farmers and industry to equip them with the tools to “sell” the sector and project a positive image. It will build on the Royal Agricultural Show school incursion program by boosting Ag content in schools by giving teachers greater resources and training for teachers. It will also involve working with market professionals to develop a long-term strategy to raise the profile of agriculture and food, including testing social media to more effectively promote job opportunities in the sector to a wider audience. In addition to this there has been a significant investment into Muresk to support education pathways into the agribusiness sector and further funds targeted at developing Western Australia’s well-deserved and growing reputation for producing fresh, nutritious, safe food to international markets. FW: Your Party said before the last State election that The Nationals WA agriculture policy gave a long term vision for agriculture. Your party committed a $300m package over five years and you obviously believe you have targeted the right issues. But farmers criticise the policy saying it is not targeted to their needs. One example, you have committed $10m to help grain growers better manage risk, but there are no incentives for farmers managing risk when they spend their own money mitigating risk by improving soil health through liming, claying and applying gypsum. A freight subsidy to cart product to their farms would be a big help. Mia Davies: The MFA and other growers group have continuously made the point that farmers are looking for a hand up not a hand out. The Seizing the Opportunity agriculture policy is targeted at creating whole of industry benefit, investing in areas it would be impossible for an individual farmer to do so themselves. For example, in relation to risk mitigation, government’s role should be to provide the tools to assist farmers to manage their risk on farm more effectively. Understanding weather conditions, the soil and moisture profile and having the ability to analyse the immediate and longer term situation is essential to making good decisions and keeping costs of production down. The proposed expansion and upgrade of the weather station network will give growers real-time weather information and provide insurance companies wishing to develop risk management products with more effective information for pricing a product. As a result of the interviews conducted with Ken Baston and Mia Davies and published above and on June 5, this is a copy of a letter I sent to the Editor of the Farm Weekly, which was published on June 12. The only difference in the letter as it appears here, to the one that appeared in the Farm Weekly, is that for reasons of space, the pictures and graphs I included in the original were replaced by words by the editorial staff of the Farm Weekly. The edited version did not in any way misrepresent or diminish my argument. I include the graphs in this version because of their synergism. The graphs are contemporary Australian agricultural art. They depict the stark realism of Australian agriculture over the last twenty years or so. It’s time for some new canvases, which means innovative artists with a fresh perspective. Ken Wilson’s interviews with Hon. Kenneth (Ken) Charles Baston MLC, Minister for Agriculture and Food; Fisheries and Hon. Mia Jane Davies MLA.BMM.Minister for Water; Forestry; Deputy Leader of the National Party of Australia (WA), clearly demonstrated we have two senior politicians, both with electorates within the agricultural region in this state who do not understand even the fundamentals of business let alone agriculture. 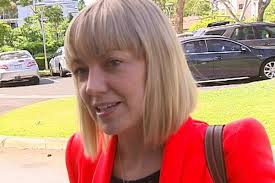 Ms Davies is 35 years of age, holds a Bachelor in Media and Marketing from Murdoch. She represents the Central Wheatbelt of Western Australia. 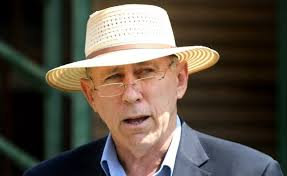 Ken Baston is 64 years of age, grew up on a sheep station out from Carnarvon, was educated in Perth, returned to the station country and was elected to the upper house our the Western Australian Parliament at in 2005 to represent the Mining and Pastoral Region. He was elevated to cabinet in 2013 and is a member if the Liberal Party. 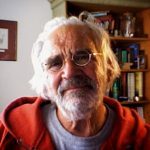 It is said that a picture is worth a thousand words and what we certainly got from the Wilson interviews with Ken Baston and Mia Davies was a thousand words and more. Whether they meant anything is another matter. Did they mean anything to you? Did they give you confidence in the future? As I was reading the article in the Farm Weekly I had two sayings, two quotes running around in my head, both from American Presidents, both great supporters of the American farmer. The second, Bill Clinton. Famous for saying during one election, ‘It’s the economy stupid.’ And during one address to the American People regarding subsidy payments to farmers, ‘We shall not let the heart of American die’, and he didn’t. The legacy of both Kennedy and Clinton, and all American Presidents since the Second World War, is that they have recognised the importance of a strong agriculture to the national economy, and have been prepared to make it strong by providing government support – subsidies. Decades of political spin in this country has managed to convince farmers that the world is wrong and only Australia is right when it comes to support for agriculture. Instead we have been convinced, by our ‘leaders’ and their apparatchiks that we are the most efficient farmers in the world and that the world will flock to our door because what we produce is ‘clean and green’. If those claims are true, why are we where we are at present? If our politicians don’t understand words, maybe they can understand pictures? 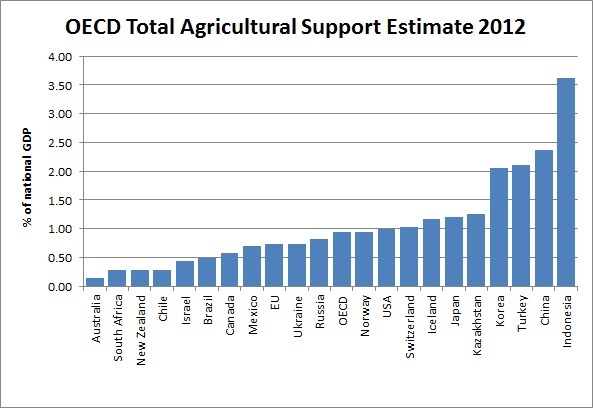 Each year the OECD compiles statistics about the level of subsidies paid to farmers in different nations, and the 2012 farm subsidy data has just been released. Once again, it shows that Australian farmers received the lowest level of taxpayer subsidies of any farmers in the world, but Australian taxpayers remain ignorant of this fact, and most probably believe Australian farmers are subsidised whingers. Mick Keogh. Australian Farm Institute. In simple terms Mr Baston and Ms Davies, how do you run a business when these numbers are the reality? Remember what Kennedy said, ‘Buy retail, sell wholesale’. Graph 2 demonstrates that the dollar value of output supported by debt declines as the number of farm units fall. Whilst some success had been enjoyed prior to 1980, post 1981 that success turned sour. The empirical evidence post 1981 demonstrates the dollar output/debt curve falling more rapidly than the decline in the number of farms establishments. The evidence of these curves reflects badly upon the competence of rural political representation from farm organizations to major political parties. But we didn’t have the picture in the 1980s that we have today, but we did have the same numbers, the symptoms of the sickness in Australian agriculture were there and nobody in government, and to be fair, in any of the so-called Peak Bodies from the NFF to the plethora of State Farm Organisations, or any of those in universities and the like who make a living out of agricultural economics, expressed any concern. Then we have ‘The Outlook Conference’, that annual agricultural talkfest to end all talkfests. That one time of the year when there are more crystal balls in briefcases than used to hang from the ceilings of the Saturday night dance halls. Even more alarmingly the banks, the people who have lent the money to the farmers have, quite obviously from these figures, been more interested in lending money, than they have on the ability of the borrower to repay. Fundamental one would think, unless, apparently, you were the banker. Faced with Graph 2, did any bankers ask how are you going to pay for the $450,000 tractor of header? If Mr Baston and Ms Davies you want some numbers, by region in WA, over time, courtesy of ABARE and the GRDC, the farmer funded organisation, I will provide them. They show that the debt is unsustainable. They show that output to debt continues to decline. They show that the terms of trade of prices paid and prices received remain cosy, at times they cross and that is no way to make money. Ben Rees can best explains Graph 3, but if this graph doesn’t cause you to pause in your rhetoric about agriculture then the next one will. So what is the take home message from all of this? Easy. Australian farmers do believe in subsidies, but being the independent buggers they are, they have preferred to subsidise themselves, by borrowing more and reducing their equity. Graph 1 shows graphically the nature and composition of the contemporary rural crisis. NVFP which is an approximation for gross net farm income excluding depreciation has basically flat lined since 1969 to 1991.From then, the curve moves to a marginally higher plateau; but, continues a flat trend line with oscillation around the trend. 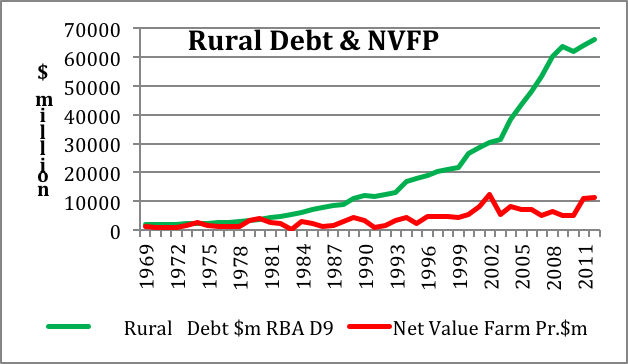 Meanwhile rural debt rises steadily from 1981 to 1993 when curve assume a life of its own. The relationship between the two curves shows an empirical unhealthy dependence of NVFP on escalating levels of debt. Such a relationship between debt and income has proven unsustainable over the longer term. Any industry that has debt growing at a faster rate than income over the long term must eventually fail. Rural policy had structured a financial time bomb that awaited a catalyst. That catalyst came in the form of the GFC. The linear evidence demonstrates that rural policy had been in a state of failure long before the GFC. Previous PostHearts of Stone – A novel in Episodes. Episode 1. The message is appreciated and I agree it needs to continually repeated until some penny drops somewhere to effect real change. I am unsurprised by the political answers to the questions. I would nearly give some very small marks to Mia Davies for the reference to the AEGIC. However the fact that the WA Govt would infer their investment in grains r&d is increasing when in fact they are key drivers of the national r&d frameworks which seek to rationalise (reduce) state govt r&d and extension expenditure in agriculture is offensive. The national framework potentially improves the efficiency of the r&d spend nationally, but is not a vehicle to increase the investment, it is an attempt to minimise the impact of declining investment. Understand though that while attempts to minimise this impact are important, the reality is that the decline in frontline services to agriculture will have a negative impact. The reality is that these people really seem to think that the problems in agriculture are superficial and that the problems are all related to perceptions rather than underlying structural failures. Thankyou for your efforts through Global Farmer. Let’s not forget that Baston is a climate change denier (or at the very least is pandering to them), that the state and federal LNP and Nats seem to have a desire to follow the follies of the past and grow agriculture in the great north, and that their R&D investment has a very myopic of short term focus (apparently we are going to double ag produce value by 2025 in WA, which would be a neat trick given that the main way to do that is either through improved markets or WUE). The superficial handling of our nations number one wealth creator in the near future is staggering. I am off to a two day Digital Rural Futures Conference in Toowoomba for tomorrow. I have an address there and a solution to 90% of our woes ( if our politicians can find their spines for once)- which I will send you when I return Home. It is a one man crusade that I have been on since August last year and it is moving on at snails pace but it is like lightning compared to the standard Political reactionary Bandaids that is all we see these days. Good site here and I will be in touch soon.